The last one on the same road as Arsha, Aksa collection has by far the most diverse and wonderful collection. 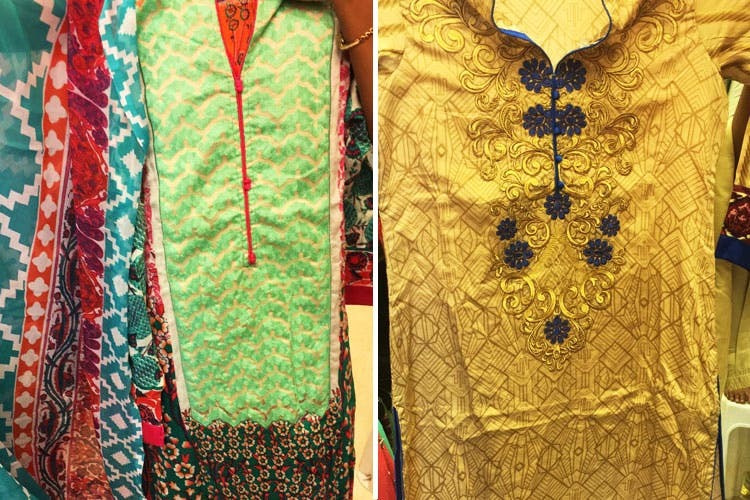 An entire rack is full of Pakistani designer suits and we were definitely spoilt for choices. From patch work to the sombre netted ones to practically all shapes and prints, this one is a must-visit for some of the loveliest Pakistani suits we’ve come across.